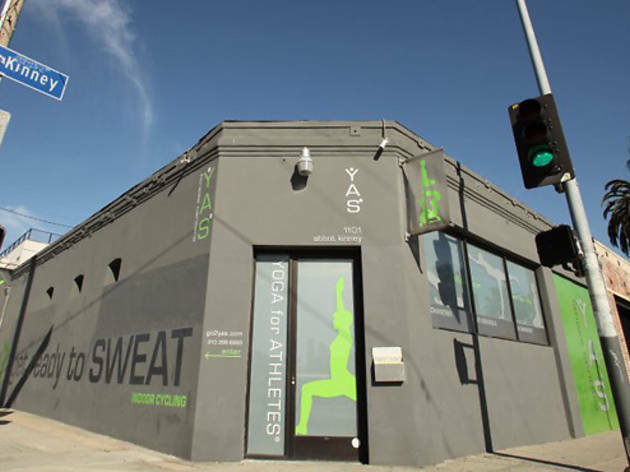 The original yoga-and-spinning studio (YAS, get it?) 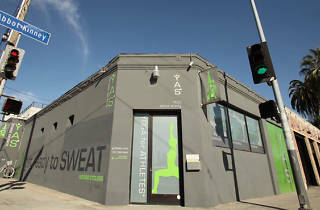 has been toning up Angelenos since 2001, and there’s a reason why it’s remains popular: It’s an accessible workout that newbies can get the hang of right away, yet can be tweaked so regulars won’t get bored—especially if they choose the YAS Class, 30 minutes of spinning immediately followed by 30 minutes of yoga. We opted for a thoroughly enjoyable Lady Gaga-themed ride led by veteran instructor Rosen, and watched riders of all shapes and sizes get their Bad Romance on. If you're not near the beach, try the Silver Lake, Downtown or Costa Mesa location–they've even expanded to Portland, Oregon! Pricing: $25 for a single class, $265/month for unlimited classes. First class is $15. Shoes not provided (but pedal cages are available so you can wear regular sneakers) and bottled water is available for purchase.